In India, the institute is already supporting Coimbatore, another smart city, in preparing project proposals and funding. Kochi: Germany will provide technical support for conceptualising and implementing projects in five sectors under Smart City Mission. Fraunhofer IAO, an autonomous agency under the German federal government, has signed an agreement with Cochin Smart Mission Limited for supporting them. 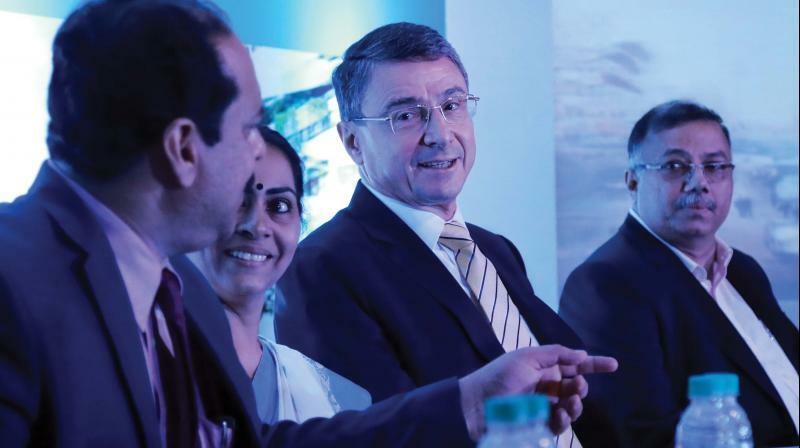 During a function held here on Monday, German Ambassador to India Dr Martin Ney launched the Smart City Innovation Lab, the intellectual platform for technology sharing. Fraunhofer Institute has been providing technical, financial and social support to smart cities across the globe through project details preparation and studies. In India, the institute is already supporting Coimbatore, another smart city, in preparing project proposals and funding. The German institute will prepare project reports in five sectors - housing, environmental conservation, energy efficiency, disaster management and electric mobility. “The Fraunhofer Institute has a panel of more than 100 experts from various countries who will prepare financially viable, climate-friendly project proposals. The German institute will use Indian agencies including academic institutions for data collection to prepare project proposals. The institute will also facilitate funding from German agencies and MNCs,” said A.P.M. Mohammed Haneesh, CEO of Cochin Smart Mission Limited. With this, Smart City programmes in Kochi will get world-class technological support. “Since funding for Smart City programmes will end by 2020 March-end, the projects have to be taken up on a fast track. The German institute will prepare project details by March 2019, and the works will begin by January end and February,” he said. Meanwhile, tenders have already been invited for projects worth `650 to `700 crore under Smart City Mission. Addressing the function, Dr Ney said that Germany would maintain and increase partnership with Kochi, which he called as tomorrow’s city. He expressed satisfaction over the progress of Water Metro, for which German funding agency KfW is giving financial assistance. Damian Wagner, senior project manager, Smart Cities, Fraunhofer IAO, T.K. Jose, additional chief secretary, local self-government department, K.V. Thomas MP and mayor Soumini Jain were also present. The first boat service of the much- awaited Water Metro will be launched by December 2019, said Mr A.P.M. Muhammad Haneesh, managing director, Kochi Metro Rail Limited. The battery-driven boats will be operated in the most innovative and environment- friendly method available. The German funding agency, KfW, is providing Rs 582 crore as soft loan for the project, which is the biggest- ever foreign funding for a scheme in Kerala. “German ambassador to India Dr. Martin Ney expressed satisfaction over the progress of the Water Metro. Tenders for the construction of boat terminals will be awarded on December 23 and that for procurement of boats in January 2019," said Mr. Haneesh. “The tendering process for floating jetties is on and land acquisition is fast progressing. We are focussing on the development of roads leading to the jetties. At present, most of the roads adjacent to the boat jetties are small and in dilapidated condition. We are planning to promote the livelihood of inhabitants of the islands by helping them set up kiosks, or shops,” he said. There will be two types of boats, one with a 50-seat capacity and another with a 100-seat capacity. There will be 78 boats operating in 15 different routes covering 76 km. Four companies, Cochin Shipyard, L&T, UAE-based Grand Weld and Netherlands-based Damen, have been shortlisted for boat construction. The tenders will be awarded within two months, he added.